The general structure, texts, images and videos, know-how and all other components of the site are the sole property of the site editor, unless stated otherwise. Any total or partial representation of this site by any person whatsoever without the express permission of the publisher is prohibited and constitutes an infringement punishable by articles L. 335-2 and following of the Code of intellectual property. That said, in accordance with Article L. 122-5 of the Code of Intellectual Property, short quotations of the content is permitted provided that are clearly stated the name of the author and the source with a link to a the pages of this website. Please read these Terms of Service ("Terms", "Terms of Service") carefully before using the http://www.amorinternational.org/ website (the "Service") operated by AMOR International ("us", "we", or "our"). Our Service may contain links to third-party web sites or services that are not owned or controlled by AMOR International. AMOR International has no control over, and assumes no responsibility for, the content, privacy policies, or practices of any third party web sites or services. 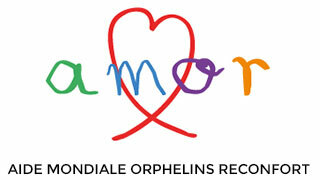 You further acknowledge and agree that AMOR International shall not be responsible or liable, directly or indirectly, for any damage or loss caused or alleged to be caused by or in connection with use of or reliance on any such content, goods or services available on or through any such web sites or services.